The rough economic period we are going through has had a big effect on wine consumers. Even high-end wine drinkers have scaled back the amount of wine they drink and the price they will pay for a bottle. The goal now is to continue to enjoy wine, but devote less of your income to it. I call this article Value Wine because while wine drinkers love to find value when they shop, that doesn't mean simply "look for something around five dollars." However, if your five dollar wine tastes like a wine that costs 20 dollars, that's definitely value. While it's not too easy to find great value at the five dollar price point, you can get a lot of wine for the money if you are willing to spend just a little more than that. There are ways you can find lower prices for wine without sacrificing quality. You can often get great deals on wine by looking to wine-producing areas that fly under the radar. Everyone knows and loves Napa Valley Cabernets, rich Burgundies, Bordeaux blends and Tuscan reds. Have you ever tried a wine from Chile, Australia or Spain? You can find big quality and low prices from those areas and many others. Israel, Greece and Eastern Europe all have some great wines on the market. Go domestic with Long Island or California's Temecula Valley, Lodi or Lake County. A number of individual states besides the major producers - California, New York, Washington and Oregon - have burgeoning wine industries, too. Winemakers in unheralded areas on the verge of becoming noticed often price their wines in the bargain basement to try and gain exposure. For instance, Malbec from Argentina has come from relative obscurity to wine list staple in a matter of just a few years, and still can be had inexpensively. You might try French wines from the Languedoc region or Italians from Sardegne. Also, wine produced where land is very expensive will have the cost of that land reflected on the price tag. Try lesser-known grape varieties. Demand is high for varietal wines like Cabernet Sauvignon or Chardonnay, and that usually translates to higher prices. If you're looking for a big, bold red wine, try a Petite Sirah, Cabernet Franc or Carménère. Instead of an expensive Chardonnay, look into a nice Rhone blend, a Pinot Blanc or a Riesling. Second labels are an excellent way to find wine by respected producers, often at half the price. Your wine merchant can help you find these value wines. Many high-end wine producers offer second labels that cost far less than their big-hitting brethern. Some wine stores have exclusive deals with big-name producers who label their wine specifically for the store - at deep discounts. Trader Joe's market typically carries a lot of re-labeled wines, produced by wineries which allow the store to put their own label on it. I can't vouch for all those store-brand wines, but I've had good luck with quite a few of them. Speaking of your wine merchant, many wine stores offer weekly tastings. Some make tastes available any time you like. Wine bars often have a price structure that includes "taste-size" pours for less than a full glass. Wine shows and festivals are also great ways to familiarize yourself with different brands and grape varieties. Take advantage of these opportunities to learn more about what it is you like about wine. It will make it easier to tell your wine merchant what it is you are looking for in a wine, and thus easier for the merchant to make useful suggestions. A wine deal isn't so good if you don't like the wine. Hopefully you are able to taste different wines and gain knowledge about what sorts of flavors are most interesting to you. If you don't get the chance to taste too much, ask for recommendations from people whose opinions you respect. Read the “shelf talkers,” those little cards below a bottle of wine in the store that tells what sort of aromas and flavors to expect. Find wines in that way which have flavor descriptions that sound delicious to you. 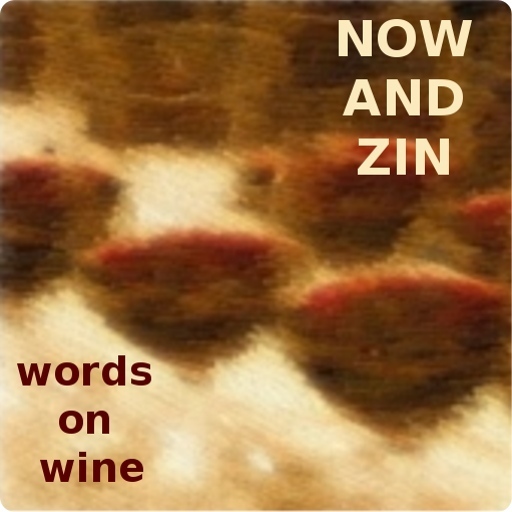 Reviews and other wine articles are also useful. One thing to ignore: scores. You won't necessarily like a 94-point wine better than an 88-point wine. Set a price you are willing to spend, then browse, looking only at wines in your price point. It's easy to “buy up” when browsing – but it's hard to enjoy a wine which cost so much you are not able to eat this week. Don't be afraid to try the cheaper wines, but don't live there either. It's surprising how many good cheap wines there are, and just as surprising how much difference $10 can make. Finally, as in any kind of shopping, look for sales. BevMo has a regular sale which they run from time to time where you can buy a bottle and get a second bottle for a nickel. Even in your regular ol' supermarket, select wines will be marked down in price. I know Ralph's markets carry quite a few good brands, and they have tags on the sale wines that make it easy to see how much the price has been reduced (see image). Usually the markdowns are in the one- to two-dollar range, but sometimes the savings are significant. If you know what you want and you don't mind buying a lot of it, buy by the case. A ten-percent discount on case purchases is just about the industry standard.